Google has introduced an entirely new and dynamic mobile phone called “Nexus one”. There are a lot of changes that have been made in the style and outlook of the cell phone while designing the phone. The minor tweaks of UI have integrated in the model that makes the mobile operating system quite interactive and this is a feature that is rarely found in other company’s cell phones. The first thing that is very attractive and stunning in Nexus one is the wallpaper appearance on the model display. The wallpapers on the screen are looking live and subsist as when the user touches them, some of the wallpapers start responding and mostly these wallpapers are designed with 3D graphics. The wallpapers respond or move upon touch being based on unique animation and graphical setting, at the same time these wallpapers worth a lot in exalting the homescreen of this wonder mobile phone. Nexus one somewhat resembles with iPhone but Google has expanded its function and feature to a great extent and in a way that it seems a better choice in comparison of iPhone or other mobile phones. The navigation option of the Nexus one makes it a very powerful and potential cell phone that can be used in an effective manner. More direct home buttons are developed instead of sliding drawer that’s why a welcoming change is observed in the navigation of application and function menu list. With the help of five home screens now, the user is better able to navigate around a wide variety of pages. The speed of Nexus one is very tremendous as the Google has modified many things that become a probable cause of retarding and hindering the good performance of cell phone. When the comparison o f Nexus one is made with other mobile phones, you may definitely come to know that it works faster than that of any other mobile phone. It is very easy to open a number of applications and you can perform a lot of functions without losing the maximum speed of Nexus one. 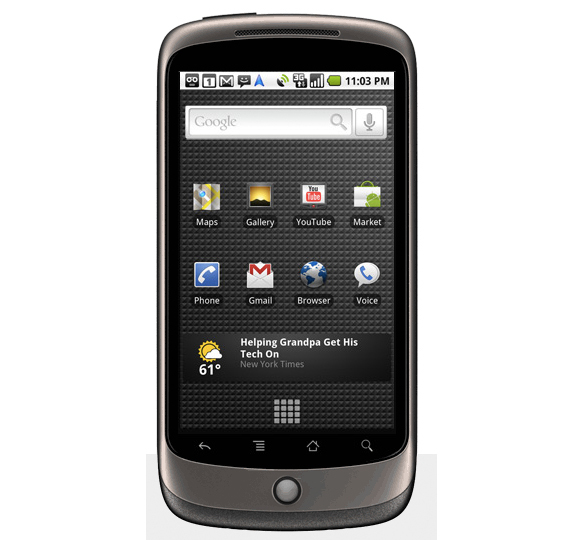 The design and style of Nexus one is readily liked and appraised by every one. If you have read the reviews about the cell phone, you might have read about the positive scores which are given in the credit of this cell phone. The users feel that it is a phone that is exactly matching up with their status and personality and it becomes a part of their striking and attractive stance. Although the Multi touch feature and function is not supported by Nexus one but the single finger touch in the five home screens at a time is a great option to consider.